HELP SUPPORT THE FURNITURE BANK! Our goal is to create an individualized buying strategy that will align your financial objectives and lifestyle choices in an honest, open, and professional manner. We ensure that our clients are well versed on current market conditions and in complete control of the buying process so that they are confident with their decision. To us, there is nothing more rewarding than seeing a client fall in love with their new home. “Lina has been selling and finding homes for our clients since 1988. Over the past 30 years, she has consistently ranked amongst top agents in the industry and has built trusting relationships with a loyal clientele that enlist her services over and over again. More than 90% of Lina’s business has come from clients that have experienced a desire to achieve results above and beyond their expectations. Having negotiated hundreds of real estate transactions, Lina has developed a high level of expertise and a fine-tuned intuitiveness which makes each purchase and sale appear as though it is negotiated and closed with ease. Prior to real estate, Lina consulted, at a senior level, for Cadbury Schweppes, Benson and Hedges, and CP Rail. I love everything about real estate, especially the area that I live in, Riverdale. “We truly live in the best city in Canada and I am proud to be part of it”. Prior to joining Royal LePage Johnston and Daniel Division as a Sales Representative, Ken was the Special Teams Coordinator, International Recruiting Coordinator, and Academic Advisor with the University of Toronto Varsity Blues Football Team. As a certified teacher by the Ontario College of Teachers, Ken also created the University of Toronto’s Academic Support for Athletes Program which has helped hundreds of student-athletes from over 40 intercollegiate teams improve their academic performance and graduation rates. Since 1950, Johnston & Daniel has been serving generations of southern Ontario’s most respected families in representing their distinctive properties. Offering caring, intuitive service and building long-term relationships with our clients, Johnston & Daniel is the standard of excellence in real estate. Johnston & Daniel became a division of Royal LePage Real Estate Services Ltd. in 1994. After serving the Greater Toronto Area and surrounding markets for over 60 years from our Central Toronto location, in 2014, Johnston & Daniel expanded with the introduction of our Oakville office in the heart of downtown. Today, Johnston & Daniel continues to define the luxury experience with professionalism, integrity and a dedication to excellent service that is unrivalled in the real estate industry. Professionalism, client service, sense of urgency and accessibility. Ken was exceptionally helpful throughout the entire process - from first point of contact, to viewings, to lease negotiation and lease signing. He immediately understood the type of building, layout and unit we were searching for. He is not only knowledgeable but also personable and truly has the client’s best interest in mind. It’s rare to find a downtown realtor who embodies all these qualities. Lina and Ken are outstanding real estate professionals. We have worked with them on two transactions – first to purchase a home in the Riverdale neighbourhood and next to find renters when we needed to move. Lina and Ken are highly knowledgeable about the market and skillful in handling complex negotiations. They are responsive, proactive and detail-oriented. They exceeded our expectations in providing timely, value-added guidance and advocating for our interest. Lina and Ken were caring professionals throughout the entire process of selling our home. If I can give any advice to any prospective, nervous, “newbie” seller like me, it would be this: trust Lina and Ken’s selling strategy; they know what they’re doing! Both of these good people kept our needs and concerns uppermost at all times and in the end got us a wonderful price for our home. They are a great team. Toronto Life Rental Of The Week! 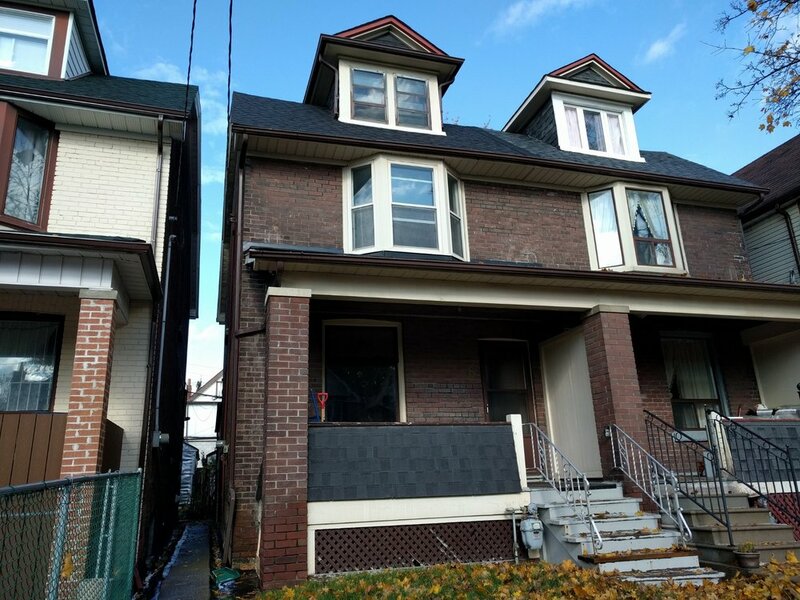 Prime Danforth-area home sells $62,000 over asking. Riverdale relisting prompts bidding war In Toronto. Renovations boost Corso Italia home's value. Riverdale home draws several offers. Sale price on prime Riverdale home leaps $231,000. Four bidders battle for Riverdale semi. 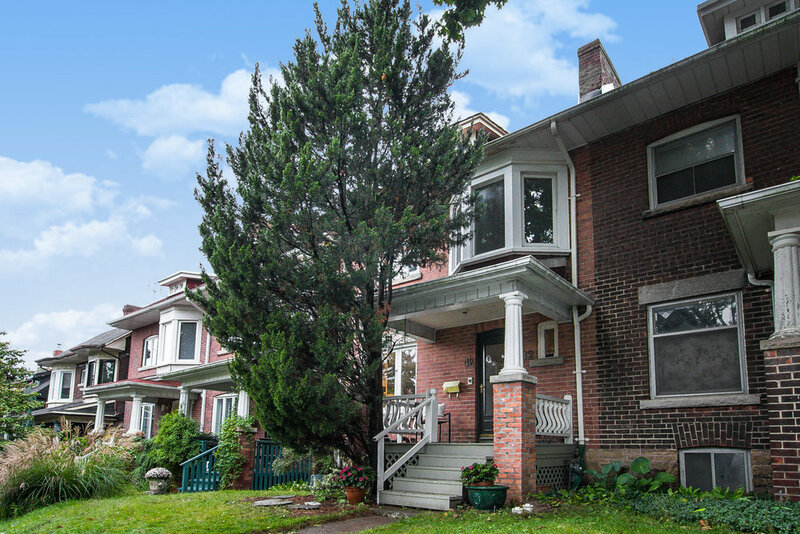 Multiple offers for prime Riverdale semi. Premium paid for Little Italy semi. through fundraising events, sponsorships and volunteerism. Every dollar raised goes directly to helping the more than 30,000 women and children who are served each year by the shelters and support programs we fund. Since 1998, the Shelter Foundation has raised more than $20 million and currently supports 200 local women’s shelters and national partners. Our agents donate a portion of their commissions and Royal LePage offices across Canada hold local fundraising events. Our brokers, agents and staff also volunteer and provide in-kind goods to benefit the women and children residing in their local shelters. The Furniture Bank is a charity & social enterprise that collects gently used furniture from the community and transfers them to families transitioning out of homelessness or displacement. There are over 30,000 people in the GTA alone that are living without or with inadequate furniture each year. Donations can play a transformational role in ensuring that all Canadians live with the dignity and stability of a furnished home. It’s a commitment to stopping mental illness from destroying lives. It is speaking up for those who can’t and shattering the stigma around mental illness. It’s a message of hope to every man, woman and child affected that they will always have the support they need to transform their lives for the better. We are inspired by the courage of our patients, the dedication of our staff and by the example of our volunteers and donors, who have thrust mental health onto society's agenda. The Centre for Addiction and Mental Health is more than a hospital. It's a catalyst for change. As a former player and coach with the University of Toronto Varsity Blues Football Program, Ken has experienced first-hand the positive impact that academic scholarships have on the lives of student-athletes. Academic scholarships drastically improve academic and athletic performance by allowing student-athletes to focus their efforts in the classroom and on the football field. More importantly, they provide critical financial resources for individuals who otherwise would be unable to afford a University education. The Blues Football Alumni Network (BFAN) continues to build and expand upon the principles that were the driving force of Friends of Football. To provide student-athletes with the financial support to excel academically and athletically. For more on the Blues Football Alumni Network click here.